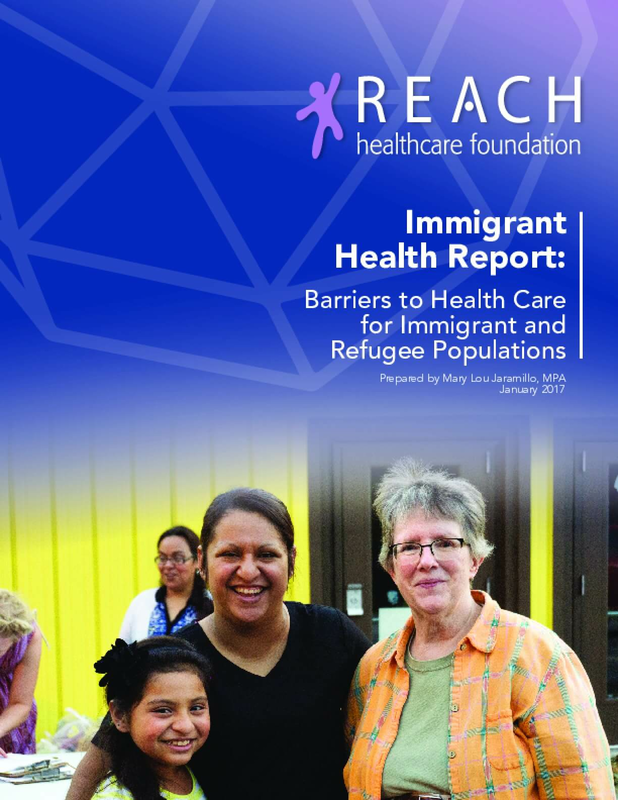 The REACH Healthcare Foundation is beginning implementation of a new five-year strategic plan that includes attention to highly vulnerable populations, including legal and undocumented immigrants and refugee populations. This report identifies immigrants' barriers to access health care and coverage, as well as findings and recommendations from a series of community conversations with key leaders of organizations working to support immigrant health and well-being in the Kansas City metropolitan area and with immigrant consumer groups. Copyright 2017 by REACH Healthcare Foundation. All rights reserved.